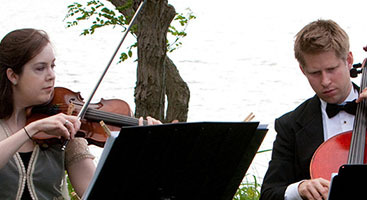 We searched for a long time to find the right ceremony musicians, and we found them in Perfect Harmony! From the moment I got in touch with Gretchen, she was responsive, thoughtful, and a joy to work with. We spoke over the phone as well as regularly over email in the weeks leading up to our wedding day; Gretchen always had the right questions to ask, and left us feeling very comfortable with what to expect and look forward to. 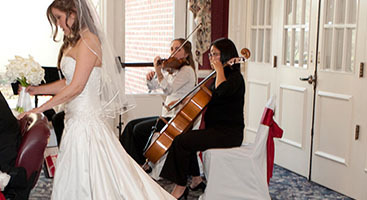 This group’s repertoire is unique in that it also features substantial number of jazz selections, international songs, and a large pop music repertoire. 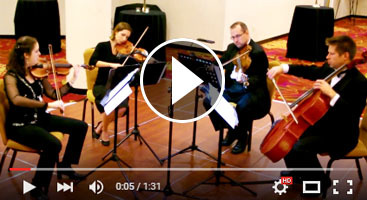 We took advantage of this diversity in asking Perfect Harmony to play all of these types of songs at our wedding, and we were thrilled with the result. Thank you Perfect Harmony!